The earlier you detect diabetes the greater the chances you can make the corrections and get your health back. The service we’re proudest of is our diabetes eye exam. 30 million Americans are living with diabetes, and another 7 million are living with undiagnosed diabetes. The earlier you detect diabetes the greater the chances you can make the corrections and get your health back. Diabetes can be a devastating disease, and it’s our mission to stop it in its tracks before it gets out of hand or even shows up. Diabetes affects many areas of your body - including your eyes. The disease increases your risk for eye conditions, such as glaucoma and cataracts. The main concern for eye health in people with diabetes is something called diabetic retinopathy. Diabetic retinopathy is a condition that develops when the blood vessels in your retina become damaged. The retina is the light-sensitive portion of the back of your eye. As the damage increases, you may begin losing your vision. Your eyesight may become blurry, less intense, and even start to disappear. Diabetes is characterized by the buildup of excess sugar in your blood. In your eyes, too much glucose (sugar) causes damage to the tiny vessels that supply blood to your retina. Over time, this damage ends up blocking your blood flow. 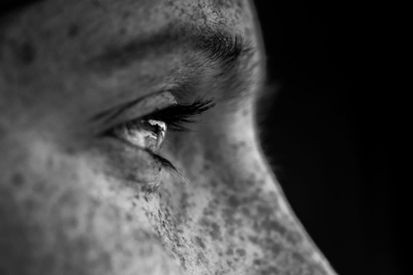 Chronic damage to your retinal blood vessels affect your vision. When the blood flow is diminished, your eye attempts to fix the situation by growing new blood vessels. The problem is these new vessels aren’t as effective or strong as the original ones. They can leak or rupture, which hurts your vision. It’s vitally important that you keep up with regular eye exams to avoid disaster. Prevention is always the best cure. The sooner we detect a problem, or emerging problem the sooner we can address it, and make sure it doesn’t become a worse case scenario. Unfortunately for so many people, the worse case scenario with diabetes and their eyes is loss of vision. Preserve your vision and peace of mind with a diabetic eye exam.